The BIOLOID Robot Frame Construction Set BFS-10 contains a large number of pieces for building robots and expanding your BIOLOID parts collection. 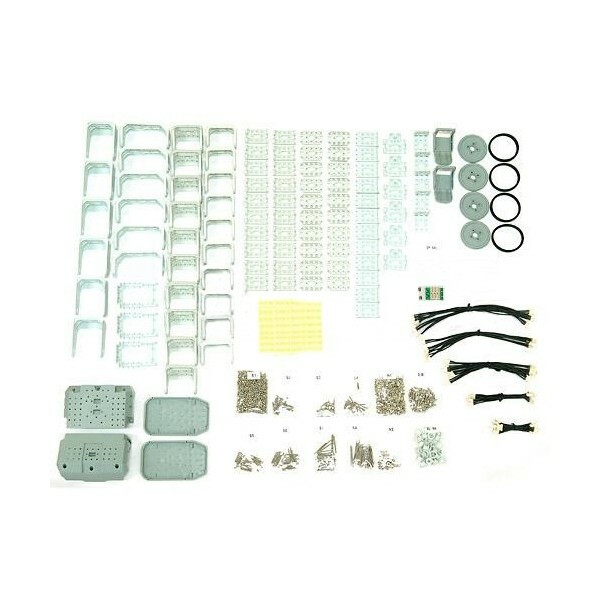 This robot construction set contains a large number of parts that are compatible with Robotis CM-5 robot controllers and Dynamixel AX series smart servos. It can be used to create multi-jointed robots and wheeled robots.